The new 15-inch model will be significantly more powerful than its smaller 14-inch sibling, but it will also be dropping specific features including WQHD HDR and the proprietary Side-Dock. 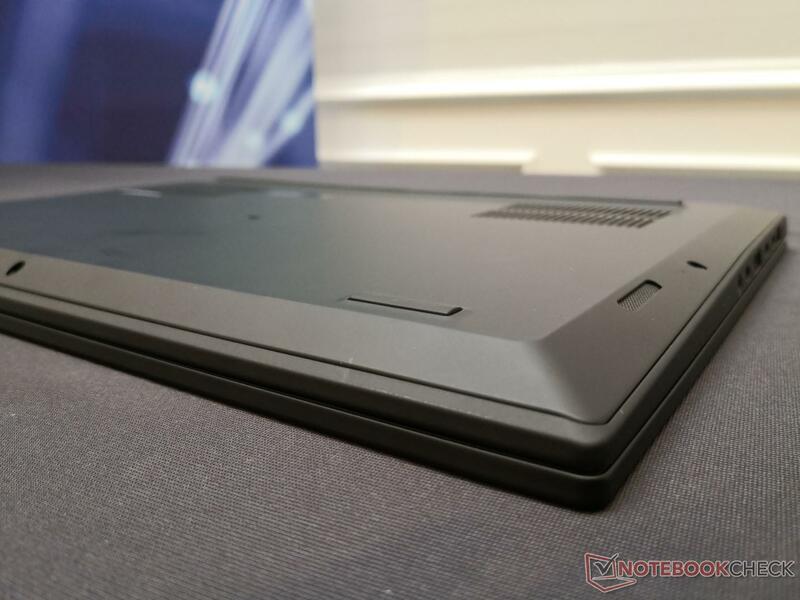 A NumPad will be omitted despite the size increase. 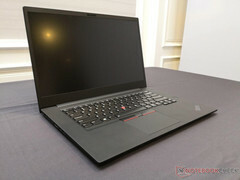 Expect the ThinkPad X1 Extreme and its ThinkPad P1 workstation equivalent to retail for close to $2000. 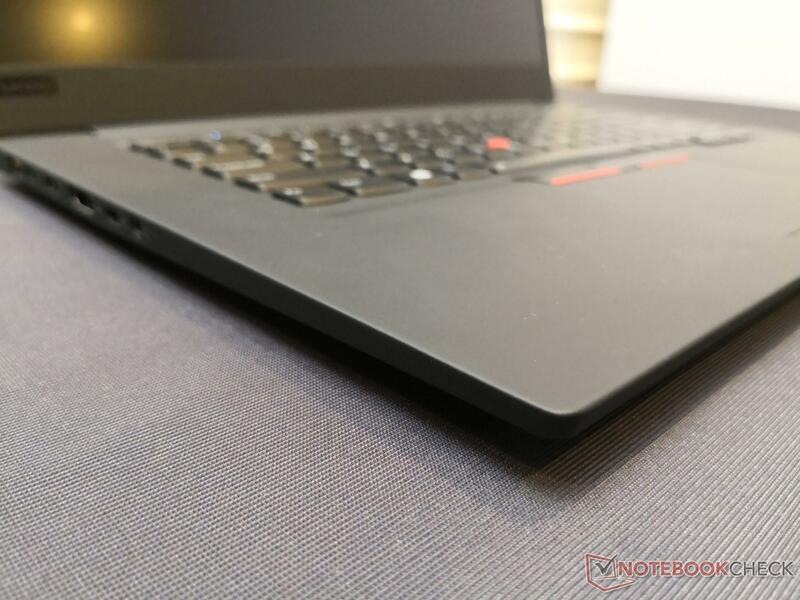 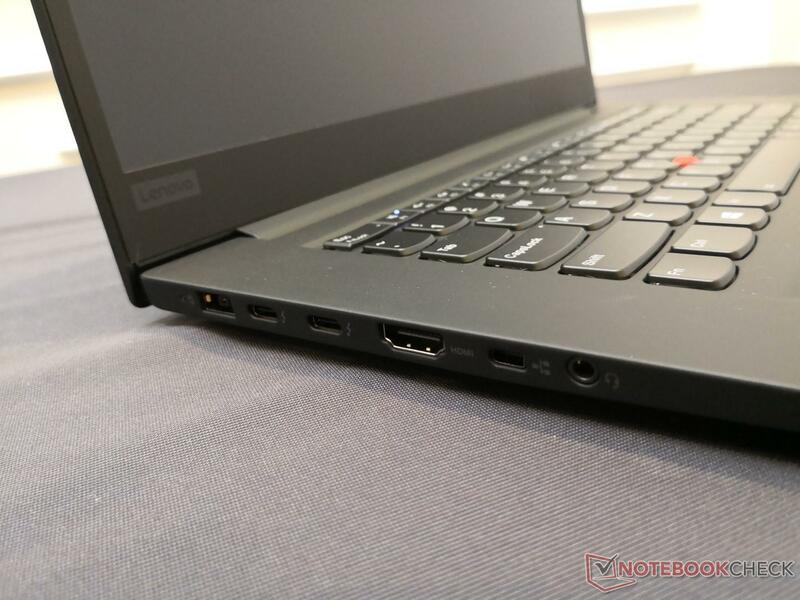 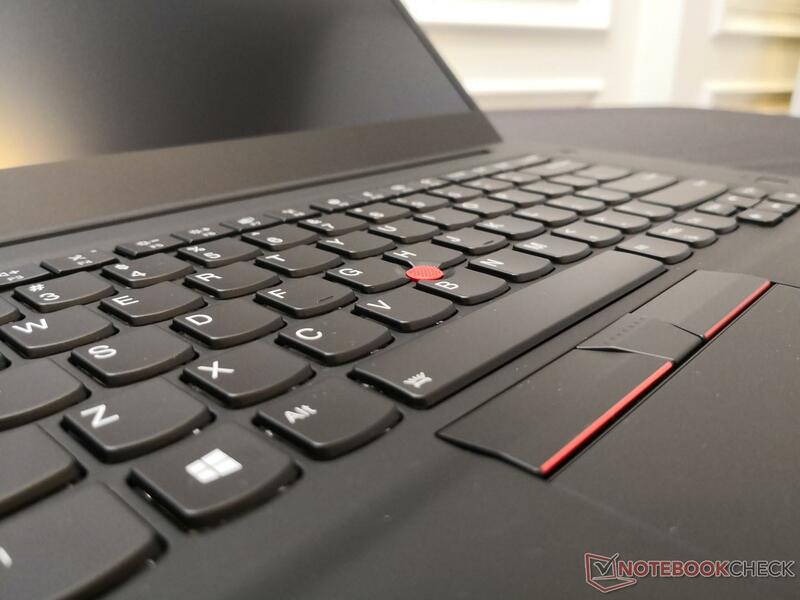 It may not be the rumored 3:2 ThinkPad X1 Carbon, but the ThinkPad X1 Extreme will be the first 15-inch entry for the super-thin ThinkPad X1 series. 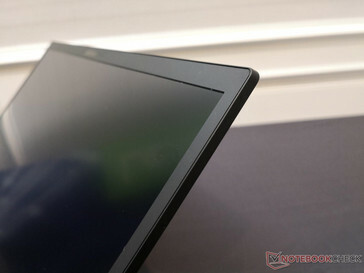 All ThinkPad X1 models prior to this reveal were limited to a 14-inch form factor. The "Extreme" in ThinkPad X1 Extreme is referring to the internals of the system. 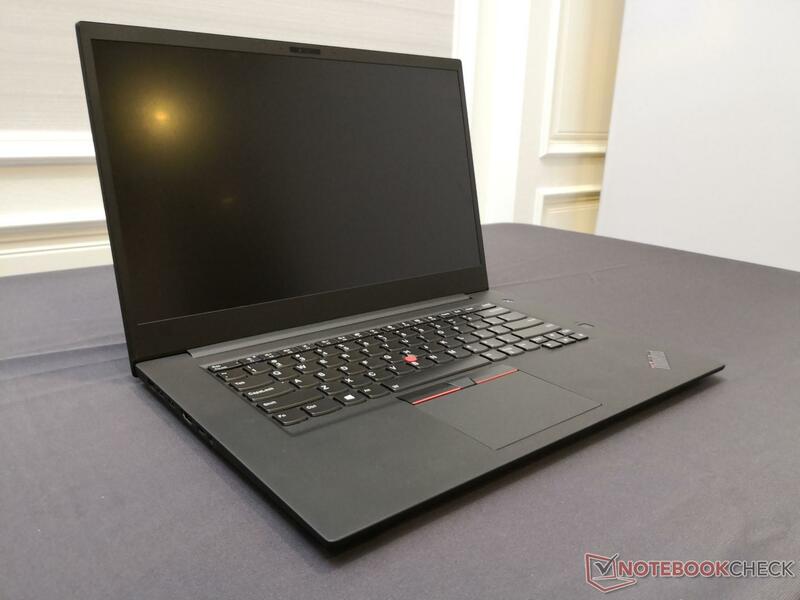 Unlike the 14-inch ThinkPad X1 and its 15 W U-class CPUs, the ThinkPad X1 Extreme will have 45 W Coffee Lake-H options up to the Core i7-8750H with Nvidia graphics up to the uncommon GTX 1050 Ti Max-Q. 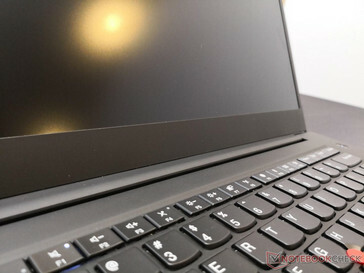 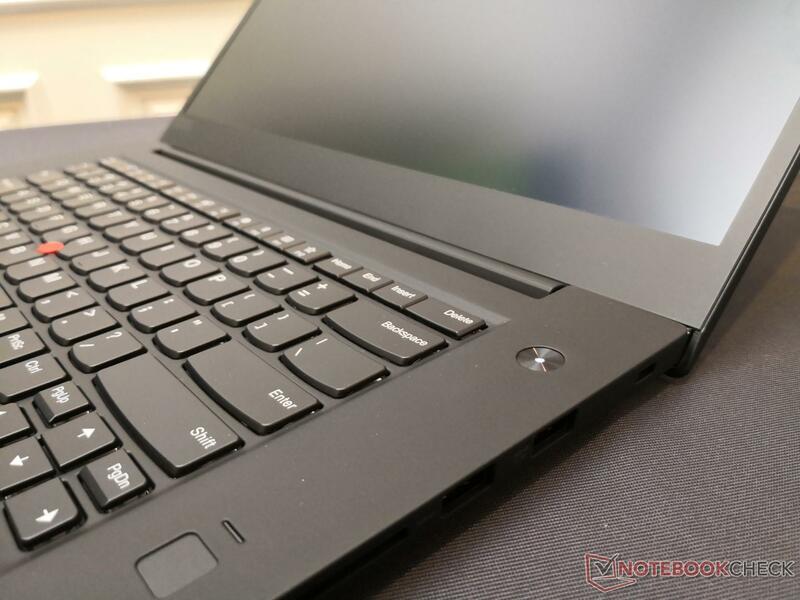 From a design standpoint, the 15-inch ThinkPad X1 Extreme is very similar to the 14-inch ThinkPad X1 down to the ThinkShutter webcam, feel of the keyboard, and layout of the trackpad. 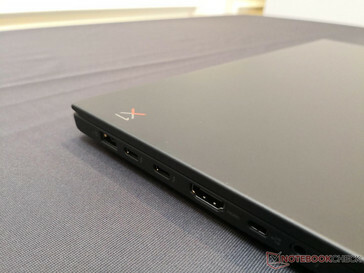 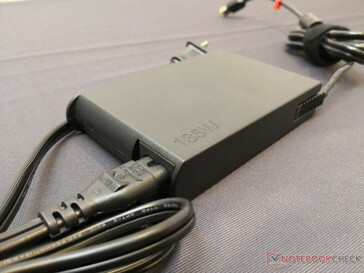 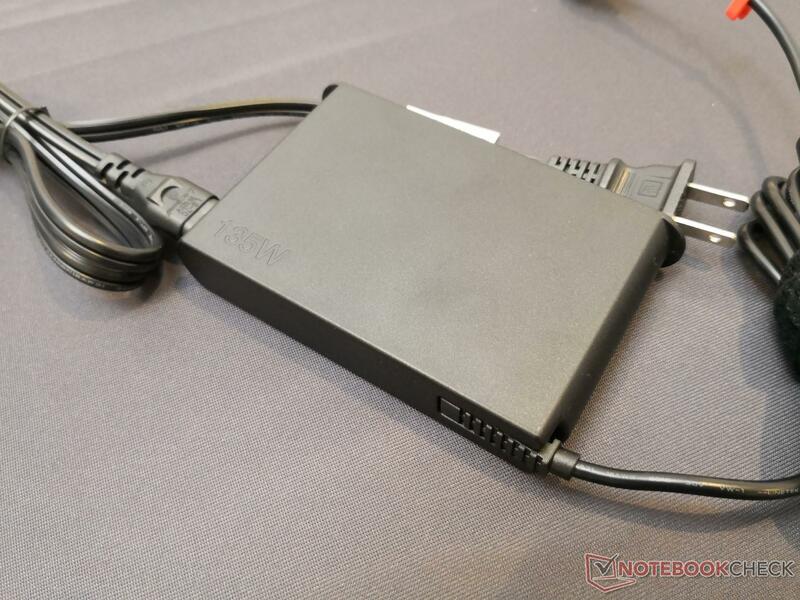 A notable change, however, is that the X1 Extreme will not have the proprietary Side-Dock connector along the left edge. 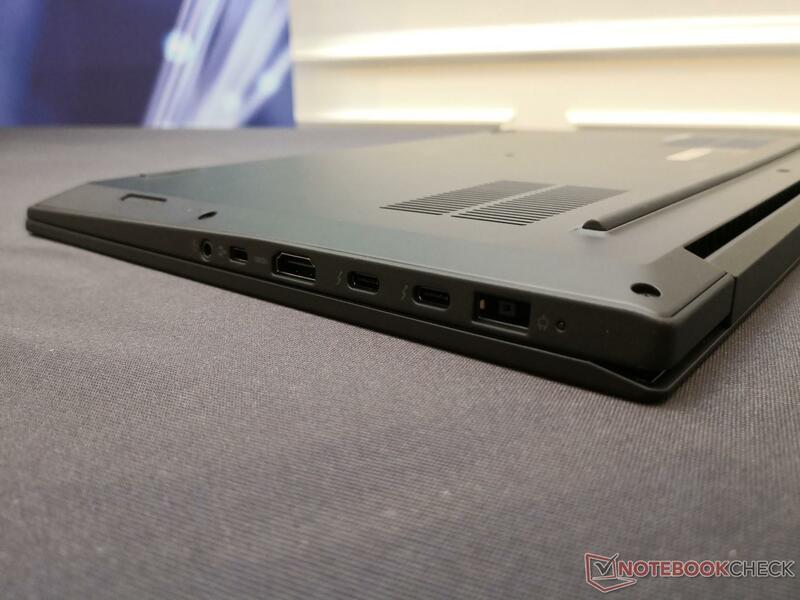 Lenovo says they will provide an optional accessory for compatibility with older docking stations since the Side-Dock has been omitted. Lenovo will also be utilizing the new ThinkPad X1 Extreme chassis for the workstation market as well. 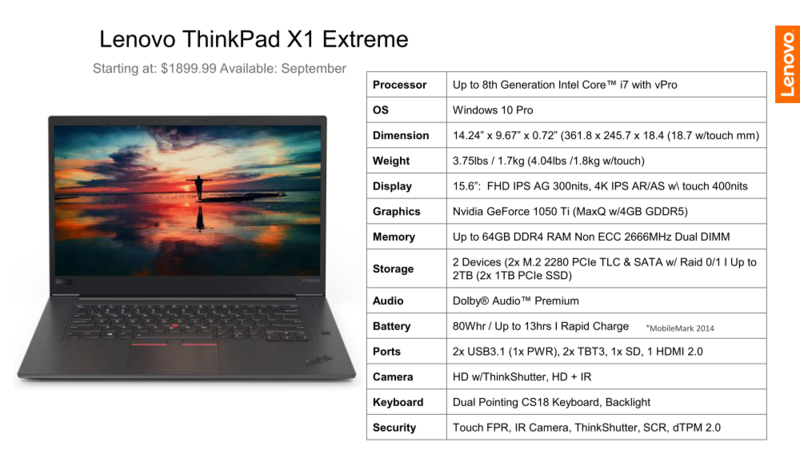 Called the ThinkPad P1, the system was announced earlier this month and it will be visually identical to the X1 Extreme but with different internal specifications as described below. The ThinkPad X1 Extreme and ThinkPad P1 will both launch in September for a starting price of $1860 USD. 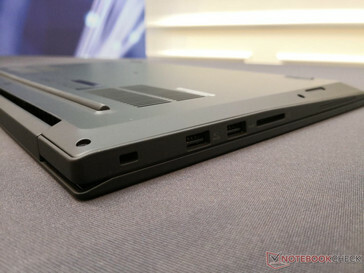 The announcement comes at the same day as the reveal of the Yoga C930 convertible and Yoga S730 laptop.